Commissioner for European Neighbourhood Policy and Enlargement Negotiations, Johannes Hahn visits Belgrade on 7-8 February 2018. This is the first visit following yesterday’s Commission’s adoption of the Strategy ‘A credible enlargement perspective for and enhanced EU engagement with the Western Balkans’. On the occasion, and under the patronage of Prime Minister Brnabić and Commissioner Hahn, two new financial agreements to support Serbian border and migration management were signed. Signatures of the two agreements are concrete examples of EU’s commitment to Serbia’s progress as expressed in the Western Balkans Strategy. During his visit Commissioner Hahn had meetings with President of the Republic of Serbia, Aleksandar Vučić and Prime Minister, Ana Brnabić. Following the bilateral meeting with the Prime Minister, a joint signing ceremony for the two new financial documents was held. The first is the financial agreement for the Sector Budget Support on integrated border management as a part of the IPA 2016 Action programme for Serbia which was signed by Genoveva Ruiz Calavera, Director for the Western Balkans at the Directorate-General for European Neighbourhood Policy and Enlargement Negotiations of the European Commission and Jadranka Joksimović, Minister of European Integration of the Republic of Serbia. The European Commission has granted €28 million to Serbia as sectoral budget support to have borders that are open for free movement of people and goods, and at the same time well controlled and secured from illegal activities, in accordance with EU principles. In this way EU support Serbia’s efforts to keep its integration process on track during the current migration crisis and contributes to improving the safety of Serbian citizens. The second is the €16 million direct grant to the Ministry of labour, employment, veterans and social affairs which will be used to respond to the resilience needs of migrants, refugees and asylum seekers in Serbia, through support to the national authorities including enhancing shelter capacity and delivery of services. This contract – part of the EU Regional Trust Fund in response to the Syria crisis – was signed by Genoveva Ruiz Calavera, Director for the Western Balkans at the Directorate-General for European Neighbourhood Policy and Enlargement Negotiations of the European Commission and Zoran Djordjević, Minister of Labour, Employment, Veteran and Social Affairs. The € 16 million grant brings the total amount of support given by the EU to Serbia to deal with the migration crisis since 2015 to almost EUR 100 M.
The Sector budget support for Integrated Border Management is part of the IPA 2016 Action programme for Serbia. The programme amounts to € 28 million (€ 24 million budget support + € 4 million complementary measures). The sector budget support on integrated border management will strengthen Serbia’s capacities to effectively control its borders, reducing organised crime and irregular migration, while allowing smoother transit of people, goods, and services, in line with EU standards. With this Programme, the European Union supports the implementation of the Integrated Border Management Strategy and Action Plan. The Sector reform contract is implemented by the Ministry of Interior (the Border Police Directorate and the Criminal Police Directorate), the Ministry of Finance (Customs Administration) and the Ministry of Agriculture, Forestry and Water Management (Phytosanitary and Veterinary Inspectorates). Sector Budget Support represents a new modality of financial support by the EU, which was introduced in 2014 as an alternative type of support, and it differs from the usual projects by the way of its implementation. 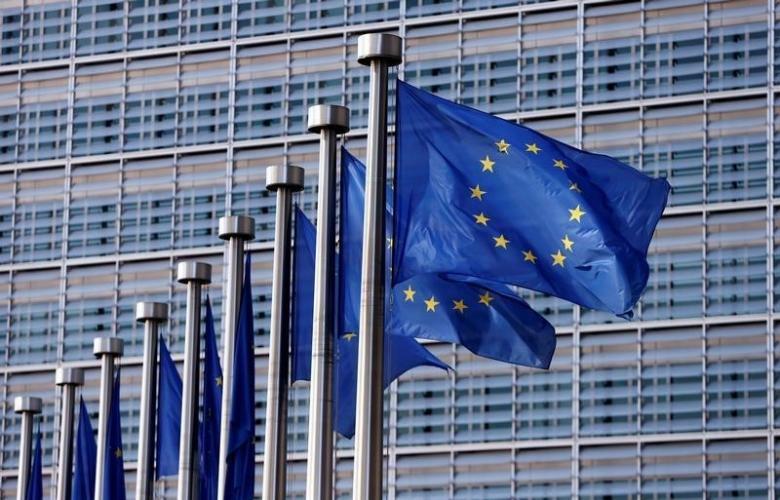 EU Sector Budget Support assists IPA II beneficiary countries in the implementation of reforms, establishing a closer connection between the EU and national strategic documents and a higher level of ownership over the results of reforms, while the beneficiary country approaches EU standards. The essence of SBS is to promote sectoral policies. The direct grant to the Ministry of labour, employment, veterans and social affairs is part of the EU support to Migration management in Serbia. The overall objective of this support is to respond to the resilience needs of migrants, refugees and asylum seekers in Serbia, through support to the national authorities including enhancing shelter capacity and delivery of services. Thanks to the EU Trust Fund the capacities of national authorities to manage migration needs and perform their duties in asylum and reception/transit centres will be upgraded. In this way the EU supports Serbia’s efforts to ensure adequate access to all types of necessary healthcare services for migrants, refugees and asylum seekers, as well as to ensure access to quality formal and non-formal education for child migrants/refugees/asylum seekers. The EU Regional Trust Fund in response to the Syrian Crisis, established in December 2014, supports up to 1,5 million Syrian refugees and their host communities in Egypt, Iraq, Jordan, Lebanon, Turkey and the Western Balkans. €1.213 million have already been allocated to concrete assistance programmes for refugees and host communities in the region. These programmes support basic education and child protection, training and higher education, better access to healthcare, improved water and waste-water infrastructure, as well as support to resilience, economic opportunities and social inclusion. In addition, the Trust Fund now supports other important development sectors, including municipal services and infrastructure in most affected host communities, access to health care, and higher education.